Introduction: One of the most widely analyzed masterworks of Spanish literature is without a doubt Fernando de Rojas’ La Celestina. Since its publication in 1499 at the evening of the medieval era and the dawning of the early modern one critics have poured over the pages of this seminal text, hoping to shed more and more light on its various intricacies and complexities. The initial strands of Celestina criticism focused primarily on the aesthetic and literary aspects of Rojas’ work. In recent years, however, critics have begun to concern themselves more with the socially responsive function of La Celestina. Consequently, much of the most current Celestina criticism grapples over “the problematical connection between literature and life, text and context” that underlies Rojas’s text. Perhaps the first Celestina critic to shift the focus of the study of Rojas’ text to an explanation of the social concerns expressed within it was José Antonio Maravall. His groundbreaking analysis of El Mundo Social de La Celestina (1976) paved the way for other innovative studies of the social implications of the text. 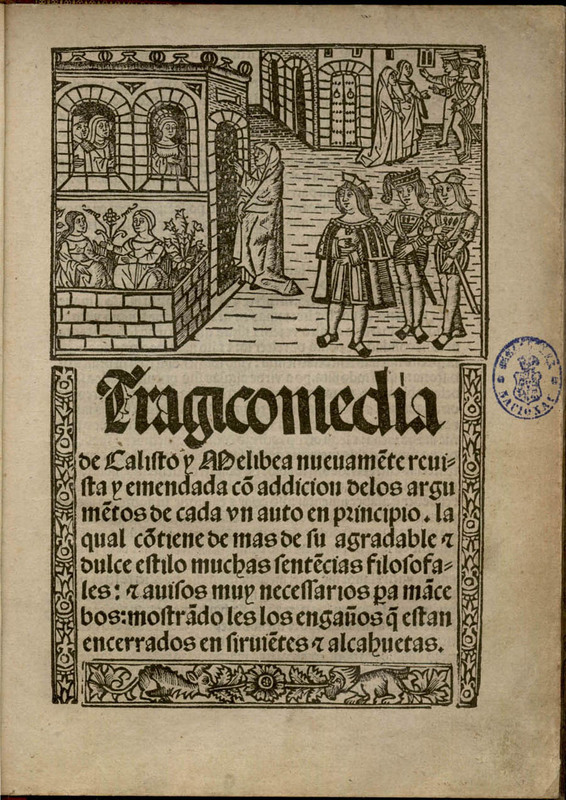 These subsequent literary analyses used Maravall’s initial investigation of the populist, egalitarian concerns of late medieval Spain’s lower class members, such as its servants and prostitutes, as a stepping stone on which to embark upon a thorough exploration of the numerous other «real world» themes expressed in La Celestina, such as Deyermond’s acerbic criticism of the corruption brought about by capitalism and mercantilism. As the new millennium drew near, however, a younger generation of Celestina critics began to study the late medieval text with what Antonio Pérez-Romero, author of The Subversive Tradition in Spanish Renaissance Writing (2005), would call a “popular, subversive, literary stance” for the ultimate purpose of helping modern readers better understand the text’s place in the long and difficult road toward equality that is the history of humankind.